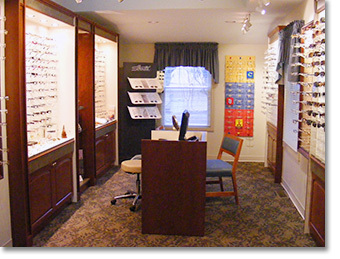 Our Frame Selection - ROSE TREE CROSSROADS EYE CARE, P.C. They say "It's impossible to please all of the people all of the time" but here at Rose Tree Crossroads Eye Care, we sure do try our best. We carry a wide variety of frames from basic classic styles to cutting edge and avant-garde. Our selection includes famous makers like Silhouette, Adidas, Ray Ban, Skaga and Kawasaki. Our designer brands include Gucci, Hugo Boss, Vera Wang, Juicy Couture, cK Calvin Klein, Coach, Banana Republic, Lilly Pulitzer, Liz Claiborne, Maui Jim Sunglasses and more. CHRISTIAN DIOR - For the woman with a timeless, classic sense of style and taste for elegance with an edge. MICHAEL KORS - This frame line holds its own in the ophthalmic world and it has now introduced its new sun-wear line for men and women. MARC JACOBS - This line offers a retro style with a couture appeal for those who appreciate the look of "geek chic". Our dispensary features the very best in frame technology from Italy, France, England, Austria, Switzerland. Come browse the unique, high quality collections from Lafont, Lightec, OGA . And if you like color, you'll love the exceptional hand painted optical frames from Ronit Furst. Shop with our friendly staff who will make choosing eyeglasses an enjoyable, anxiety-free experience. Dawn, our Optician and frame stylist, will help you select the frame that suits the shape of your face, your skin tone and even your personality. She will make sure that your prescription will fit the frame that you have selected and will discuss your lens options with you. Looking for fashionable over-the-counter reading glasses? We have a fine assortment in various powers. Stop in and see why MAIN LINE TODAY Magazine, July 2010 issue, has honored us with the distinction of having the "Best Fashionable Frames". And why Talk of the Town voted us "Most Fashionable Eyewear" in 2010, "Best Eye Care Center" in 2011 & 2012, "Favorite Eyecare" and "Favorite Optical Center" in 2013, and "Favorite Optometrist" and "Favorite Eye Care Center" for 2014! If you already have your prescription for lenses, you can stop by at any time to shop our optical department. We look forward to seeing you soon!